Pokémon Gold and Pokémon Silver may be seventeen years old in the US, but they have strong nostalgia among many old school players, and are still considered to be some of the best games in the Pokémon franchise. Building off the success of their predecessors, Pokémon Red and Pokémon Blue, Gold and Silver preserved the same basic gameplay while adding a whole host of new features, including day and night cycles, specialty Pokéballs, Pokémon breeding, and the infamous and ever desired shiny Pokémon. While the 2009 releases of HeartGold and SoulSilver remade the games, improving the Johto Region with additional features and improved graphics, the current Virtual Console releases feature the original games in all their retro, pixel art goodness. Starting up Pokémon Gold or Silver really is like going back in time, back to when there were only 251 Pokémon, when all young Pokémon trainers were male, and when starter Pokémon were rare, newly discovered, and valuable creatures which were handed out to a passing ten year old. It’s a time when starting out on your Pokémon journey was surprisingly difficult; if you picked Cyndaquill as your starter, you’d have to grind your way up to six levels with Tackle as your only offensive move before your partner Pokémon finally learned Ember. It was a time long before the introduction of Fairy type Pokémon, when Dragon reigned supreme, and were weak to little more than other dragons. Fortunately, we are now able to step into the past with the benefit of much faster and more stable technology; technology that will disable the save option, should a coin battery, sealed away within a game cartridge, run out of power. Much like the earlier Virtual Console releases of Pokémon Red, Blue, and Yellow, Pokémon Silver and Gold are direct ports of the original games which add very few bells and whistles to the experience. Perhaps the most notable addition is their upcoming compatibility with Pokémon Bank. While this may not seem like much of a cause for celebration in and of itself, it is great news for Pokémon Breeders who will soon have easy access to a whole slew of so called Bank Balls, which can be created within Pokémon Silver and Gold, used to catch a Pokémon, then transferred to Pokémon Sun and Moon. With well planned breeding and the use of egg groups, it is about to become much easier to outfit your favorite Pokémon with a matching novelty Pokéball. While the trading and battling systems have received an upgrade, allowing them to connect wirelessly as opposed to having to use a cable to physically link two devices together, this element of the game still feels incredibly dated, difficult, and in sore need of an upgrade. First off, you can only trade and battle via local Internet, so you cannot use these functions unless you and a friend are both physically at the same location; there is no online trading or battling. While one could argue that this maintains the spirit of the Game Link Cable, it still seems like an oversight given today’s technology. The interfacing of both trading and battling are incredibly lacking. Upon saving and trying to connect, the game’s music stops abruptly, something which feels jarring, as if an error has occurred. There is no lounge, and no way to see who else is around and looking to interact. You have to choose to either send an invite or to accept an invite, and hope that your systems decide to communicate… so in that sense, it really isn’t all that different from the unreliable and high-suspense anxiety of hoping your GameBoy Color didn’t suddenly stop communicating which we experienced nearly two decades ago. Returning to the Johto Region with the Virtual Console releases of Pokémon Gold and Silver are a great nostalgic experience, reminding us of just how far the series has come, and how much grinding was once required to become the very best. This old-school Pokémon player found it a real delight to defeat the Elite Four, traverse the Kanto region once more, and catch ’em all all over again, while the modern Pokémon player in me is delighted to soon be able to pass some breedable Pokémon in Bank Balls forward to Pokémon Sun and Moon, and at last accessorize some of my favorite Pokemon with matching Pokéballs. While they may be more grind-heavy than their modern counterparts, I found my time playing Pokémon Gold and Silver to be a great trip down memory lane. 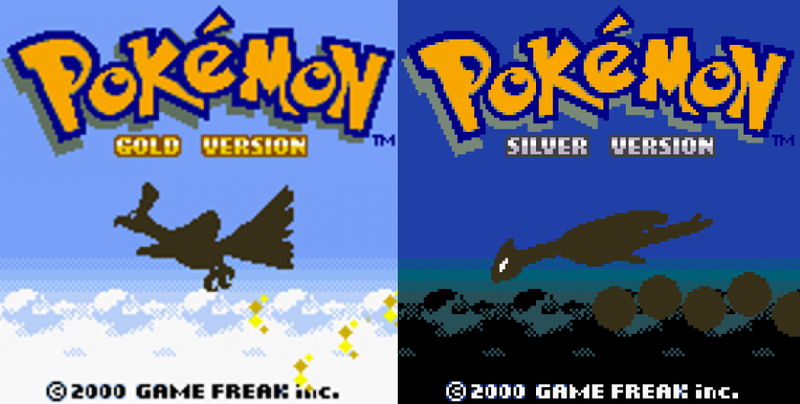 The Virtual Console release of Pokémon Gold and Silver are the exact games which Pokémon fans played on their GameBoy Color seventeen years ago. While trading and battling would benefit from an upgrade in both interface and function, the rest of the game plays well, and has all sorts of nostalgia. The ability to create specialty Pokéballs and the upcoming ability to interface with Pokémon Bank gives these re-releases a great deal of value for modern Pokémon breeders, as well as those who just like the aesthetic of their Pocket Monsters matching the Pokéballs in which they reside. These games represent an enjoyable walk down the memory lanes of both the Johto and Kanto Regions, and a great reminder of just how far the series has come.